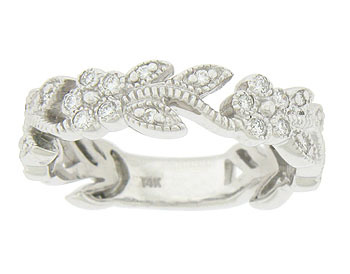 Jaunty flowers and leaves press into a curling vine as it stretches across the face of this 14K white gold floral wedding band. 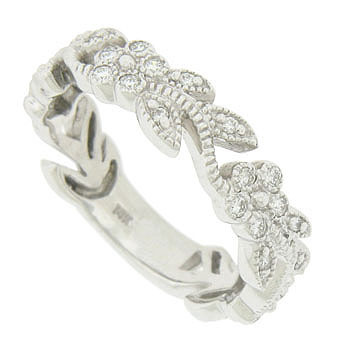 Decorative milgrain highlights the edges of the ring, while the leaves and blooms are set with .28 carat total weight of round diamonds. 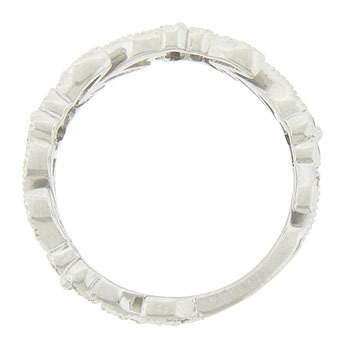 The wedding ring measures 5.24 mm in width. Size 6 3/4. We can re-size or order in any size. 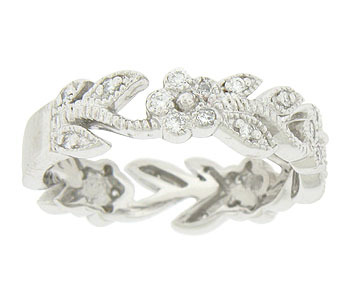 Also available in 18K, yellow gold and platinum.